A Justice Department official who is at the center of a firestorm over his relationship to John Podesta gave Hillary Clinton campaign chairman a “heads up” about several developments in the Clinton email case last year, newly released emails show. Peter Kadzik, the assistant attorney general for legislative affairs, provided the tip in a May 19, 2015 email that was hacked from Podesta’s account and released by WikiLeaks. “There is a [House Judiciary Committee] oversight hearing today where the head of our Civil Division will testify,” Kadzik wrote from his Gmail account — in possible violation of federal policy — to Podesta. Podesta’s relationship with Kadzik has sparked outrage from many Clinton critics who are concerned that the DOJ official could tip the scales of justice in the former secretary of state’s favor. As The Daily Caller first reported last week, Podesta and Kadzik are close friends. Other WikiLeaks emails show that the pair have dined together multiple times since the Clinton email investigation started. Kadzik’s son also asked Podesta for a job on the Clinton campaign. The pair have known each other since the 1970s when they met at Georgetown Law School. Kadzik also represented Podesta during the Monica Lewinsky scandal during Bill Clinton’s term. Kadzik acted publicly in the Clinton case earlier this week when he wrote a letter to several Democratic members of Congress on Monday after they complained about FBI director James Comey’s letter announcing that he would be re-opening the email investigation because of emails found on a laptop shared by Clinton aide Huma Abedin and her husband, former New York Rep. Anthony Weiner. Weiner is being investigated for sending lewd messages to a 15-year-old girl. The FBI is reviewing the emails to see if any classified information is contained in them. 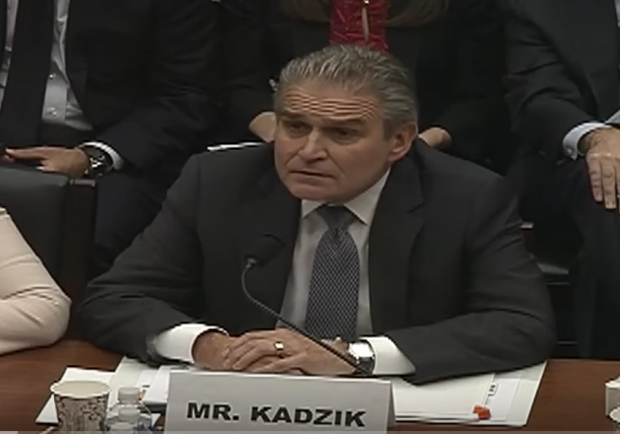 The Justice Department told TheDC last week that Kadzik has no direct role in any Clinton email investigations. But the May 2015 email to Podesta shows that he can use his position to the benefit of the Clinton campaign in other ways. He’s able to provide a “heads up” on congressional maneuvers and DOJ discussions about various cases, including the Clinton email probes. That was likely a reference — and perhaps a joke — about Podesta’s involvement with Kadzik during two major Bill Clinton White House scandals. Kadzik was hired by Marc Rich, a billionaire fugitive, to help win him a pardon from Clinton. A House Oversight Committee report found that Kadzik was hired because of his close relationship with Podesta, who was Clinton’s chief of staff at the time. The pair discussed the pardon at least seven times in late-2000 and early-2001. Rich was ultimately pardoned, though Podesta has said he opposed the decision. Kadzik also represented Podesta during the Monica Lewinsky scandal. A spokesman for the Justice Department downplayed the significance of the email. He argued that Kadzik was not using his Gmail account for work-related business because, the spokesman said, he was sharing public information in a personal capacity. The congressional hearing under discussion was in the public domain for several weeks and the FOIA request was publicized in a news article the night before Kadzik’s email, the spokesman asserted. The email is also not evidence that Kadzik was back-channeling to the Clinton campaign because it did not contain any new or confidential information, the flak argued. He declined to speculate on whether Kadzik used Gmail for work-related matters. This article has been updated with comments from the Justice Department.